Under pressure over a contentious anti-terrorism bill, the government yesterday dropped plans to rush it through the National Assembly but two other bills were approved by the APNU+AFC side in the absence of the PPP/C whose parliamentarians walked out in protest. 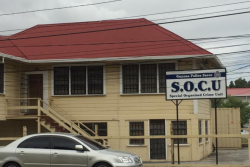 An outcry by the Guyana Human Rights Association (GHRA) as well as the business community and the PPP/C had greeted news that Prime Minister Moses Nagamootoo was going to move a motion in the House to suspend the Standing Orders to allow the three bills to be laid, debated, and passed at yesterday’s sitting. The bills were the Municipal and District Councils and Local Authorities (Amendment) Bill, the Anti-Money Laundering and Countering the Financing of Terrorism (Amendment) Bill and the Anti-Terrorism and Terrorist Related Activities Bill. The GHRA, in particular, had condemned the proposed move to suspend the Standing Orders saying that rushing the anti-terrorism bill through the House cannot be justified. “In its present state this Bill would allow the State to perpetrate serious violations of due process and fair trial rights and should not be allowed to pass into law,” it had declared. Nagamootoo, following a lengthy defence of his motion to suspend the Standing Orders, said that he would amend the motion and drop the anti-terrorism bill to allow for more consultations. “We agree after listening, reading some of the positions taken that more time is needed for civil organisations to study the…bill then we on this side would be prepared to oblige,” he said. “This is not a question of conceding to the superiority of a debate of the opposition against the government. This is how democrats behave, we listen, we learn and we make (a) decision,” he declared, to desk-thumping from his colleagues. 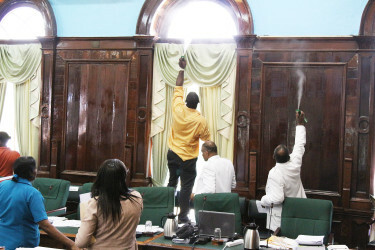 Spraying the insects which invaded Parliament Chambers yesterday. Yesterday’s sitting, the first in almost two months, was delayed by an hour and a half as Parliament Chambers was affected by an infestation of “rain flies” and had to be sprayed by staff. When the sitting eventually began, PPP/C Chief Whip Gail Teixeira led the charge for the opposition. 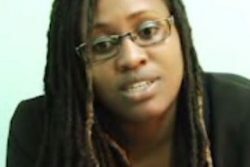 “This move…deny scrutiny and rushes through these three bills and further exposes the undemocratic nature and actions of this new administration,” she declared while saying that the actions fly in the face of calls by APNU and AFC when they were in opposition for consultations. Teixeira condemned the fact that the bills were not made widely available and said that from the period 2006 to 2015, only three bills were dealt with by the PPP/C administration in a similar manner and these had received the support of the opposition. The bills related to the Cricket World Cup hosted here in 2007. 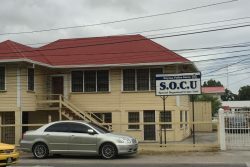 The PPP/C Chief Whip pointed out that for APNU+AFC’s seven months in office, they had rushed through bills on six occasions even though parliamentary rules state that this should only be done in an emergency. “Mr Speaker this is a travesty. The government cannot state what is the emergency with regards to these bills. The honourable Prime Minister got up and just read the motion. He did not do us the honour of at least explaining why the government has to do this. Why?” a fired-up Teixeira said. 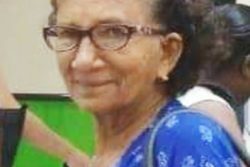 Teixeira questioned the rush to pass the bills and with regards to the Municipal and District Councils and Local Authorities (Amendment) Bill said that it could deny small parties from participating in the elections. “This is wickedness comrade, this is undemocratic,” she declared. She also raised questions on the other two bills and said that the anti-terrorism bill is brand new and should be properly scrutinised in a parliamentary select committee. The PPP/C Chief Whip pointed out that not only her party holds this view and emphasised the need for consultations in accordance with Article 13 of the constitution. “What more will you on the government side do to harm and reverse democracy in this country? What more do you have planned? Because if you damage and you erode and you damage parliamentary democracy you are harming the whole democratic framework of this nation and the constitution of this nation,” an impassioned Teixeira declared even as she charged that even some on the government side had not yet read the bills. She objected to the motion to suspend the Stranding Orders while reiterating that the anti-terrorism bill in particular should go to a special select committee. 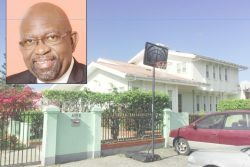 Responding, Minster of Legal Affairs Basil Williams rejected Teixeira’s contention that the bill was brand new and said it was “Rohee’s bill” as it had been formulated under the tenure of the former PPP/C Minister of Home Affairs. According to him, the bill is there because government has to pass it before the end of the year to comply with international requirements. 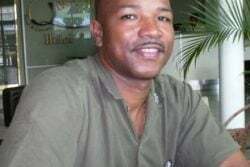 He further declared that consultation had been undertaken in relation to the anti-terrorism bill and read a list of persons to whom emails had been sent including President of the Private Sector Commission Norman McLean and the Guyana Bar Association. They did not respond, he said while charging that it was a “great hoax” that there were no consultations. 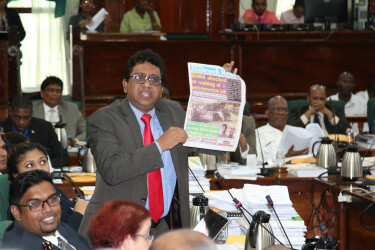 PPP/C parliamentarian Anil Nandlall also condemned the move to rush the bills and dramatically held up yesterday’s edition of Stabroek News in which the main story was the GHRA’s condemnation of the rushing to pass the anti-terrorism bill. As the voices of the parliamentarians drowned out each other, mostly on the government side, Nandlall questioned whether they were saying that the GHRA and Stabroek News were lying. “That’s right,” Minister of Public Security Khemraj Ramjattan responded, kicking off another round of raucous exchanges. Ramjattan also said that consultations do not mean that the recommendations made will be included which led to accusations that government was reducing consultations to a rubber stamp. Nandlall questioned whether “ramming bills down the throat of the people of this country (is) the right thing to do” and charged that they were only getting “six seconds” to consider the bills. Nagamootoo, defended his motion and said that it conformed fully to the relevant Standing Order. “There is nothing undemocratic about that,” he declared while saying that the anti-terrorism bill was the subject of consultations and accused the opposition of not telling the truth. “The question of bulldozing has no merit whatsoever,” he said. The Prime Minister eventually moved to amend his motion to drop the anti-terrorism from the bills to be debated and passed. Following a division called by Teixeira, the government used its one-seat majority to approve the motion with the opposition side voting against. The anti-terrorism bill was read for the first time and then the two other bills were considered. However, as the government side moved to begin the debate, the PPP/C parliamentarians walked out of the Chamber. Minister of Communities Ronald Bulkan piloted the Municipal and District Councils and Local Authorities (Amendment) Bill in the House and he said that it introduces nothing new nor does it proposes any changes to the legislation upon which it impacts. “All this bill seeks to do Mr Speaker, is to provide clarity and it brings into conformity what are contradictory provisions in the two pieces of legislation,” he said. He was referring to Chapter 28:01 of the Municipal and District Councils Act and Chapters 28:03 of the Local Authorities (Elections) Act. According to the explanatory memorandum, the bill seeks to amend the act to provide clarity as regards its application with respect to the new local government system and to ensure consistency in its application. Bulkan explained that Clause 2 of the amendment relates to Georgetown, Clause 3 to New Amsterdam, Clause 4 to other towns, Clause 5 to other districts and Clause 6 refers only to municipalities. In Clauses 2,3, and 4, the words “for the proportional representation component” is inserted in the relevant sections of the Act and Bulkan explained that as a result of local government reform legislation, a new system was introduced that created a hybrid proportional representation (PR) and constituency elements of local government. He pointed out that previously the entire system was PR and with a new 50/50 hybrid system, the amendment only affects the PR segment. 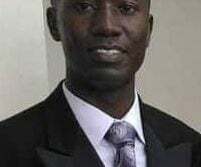 The laws speak to the number of voters that are needed to constitute a valid list of candidates which for Georgetown is between 100 and 110, and Bulkan stressed that the amendments would only apply to the PR segment and not the constituency segment. He said that the numbers were in the Act which had been passed by the former PPP/C administration and it was that party that had come up with the numbers. He said that the amendments ensure that there can be no ambiguity and there is a clear distinction between the PR segment of the elections and the constituency elements of the elections in terms of the number of signatories of registered voters that are needed to constitute a valid list of candidates. He rejected contentions that the bill seeks to increase the number of signatories required to support a list, that it adds to the difficulties of the contestants, and that it seeks to be an onerous imposition. Bulkan said that the numbers were imposed by the PPP/C which had laid the initial amendment and signed it into law. He also said that no consultations were necessary. “The simple truth Mr Speaker is that no discussions were necessary because all that this bill seeks to do is to provide clarity to the very measures that were introduced by honourable members on the other side,” he said while emphasising that the numbers have no bearing on the constituency lists and they remain unaffected. The bill was passed in the absence of the PPP/C. 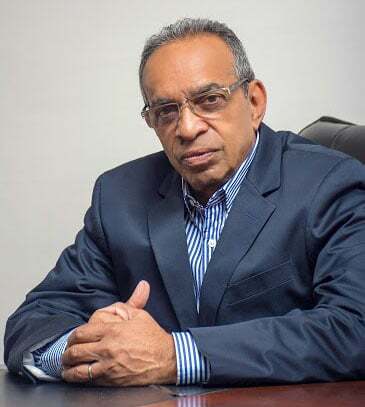 In relation to the Anti-Money Laundering and Countering the Financing of Terrorism (Amendment) Bill, Williams recalled that the Financial Action Task Force (FATF) had pointed out that Guyana still had to deal with three recommendations out of eight. He said that the three issues had to do with customer due diligence, the question of the real owners of legal entities and legal arrangements, and the question of targeted financial sanctions. “These things were lacunae within the legislation and they insisted that we address those lacunae,” he said. The Attorney-General declared that Guyana is under an obligation and has received notice to attend a face-to-face meeting in Panama around January 12 in order to deal with questions and explain the provisions that would have been implemented to ensure that the country is compliant with the FATF regime. The bill was also passed in the absence of the PPP/C. Clause 3 of the Bill seeks to amend section 15(4) (c) to require a reporting entity to identify and verify the identity of a customer when establishing a business relationship. Clause 4 of the Bill seeks to amend section 68A (6) to reduce the period from not later than seven days to not later than five days for the Director of Public Prosecutions to apply for a freezing order. The amendment also provides that an application for a freezing order may be made ex parte to a Judge in Chambers. The amendment also seeks to insert into section 68A a new subsection (6A) to provide that, a Judge when granting the freezing order, the standard of proof required shall be on the balance of probabilities. Clause 4 also seeks to insert a new subsection (6B) that requires the Director of Public Prosecutions to immediately serve on the reporting entity a copy of the freezing order. Clause 6 of the Bill seeks to amend section 71(1) of the Principal Act to enable the Director of Public Prosecutions to make an ex parte application to the High Court for a freezing order. Clause 7 of the Bill seeks to amend the Second Schedule of the Principal Act to make it clear that gold smuggling is a serious offence under the second schedule. Clause 8 of the Bill, meanwhile, provides for a Schedule to the Act with amendments to section 47A of the Securities Industry Act, Cap. 73:04, section 7A of the Co-operative Societies Act, Cap. 88:01 and 23A of the Insurance Act, Cap. 91:02. These proposed amendments seek to substitute for the sections mentioned above new sections that add to the existing provisions the appropriate factors that must be utilized for evaluation by the respective supervisory authorities. These provisions determine whether any applicant together with any partner, shareholder and director, beneficial owner of a significant or controlling interest or office holder of the applicant is fit and proper for registration. Additionally, the fit and proper criteria is to be utilized for evaluation by a supervisory authority where there is a change of ownership, management or control of the company.